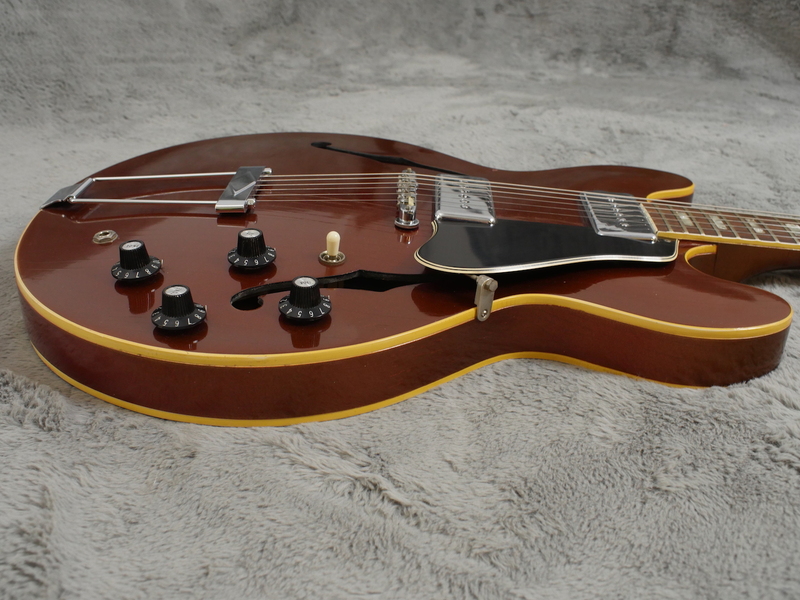 Yet another elegant example from the Gibson stable, this 1967 Gibson ES-330 in rare burgundy metallic has really stood the test of time. 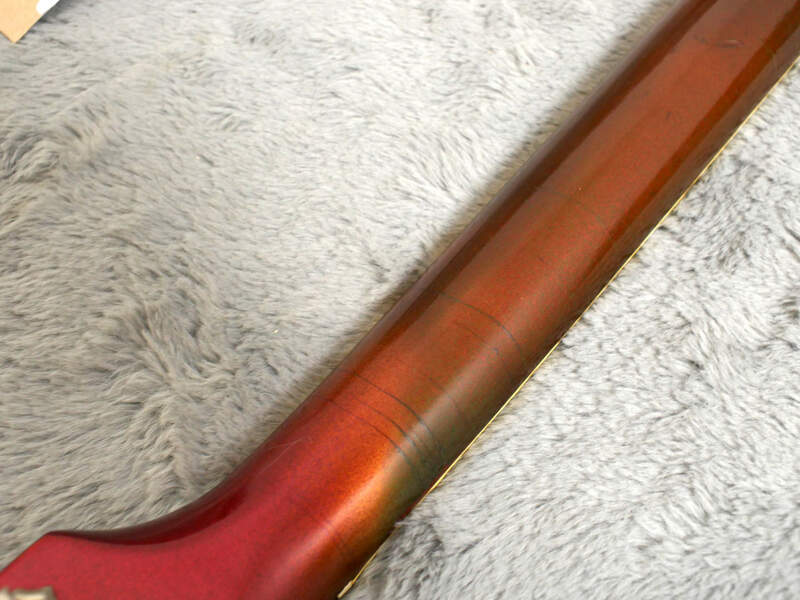 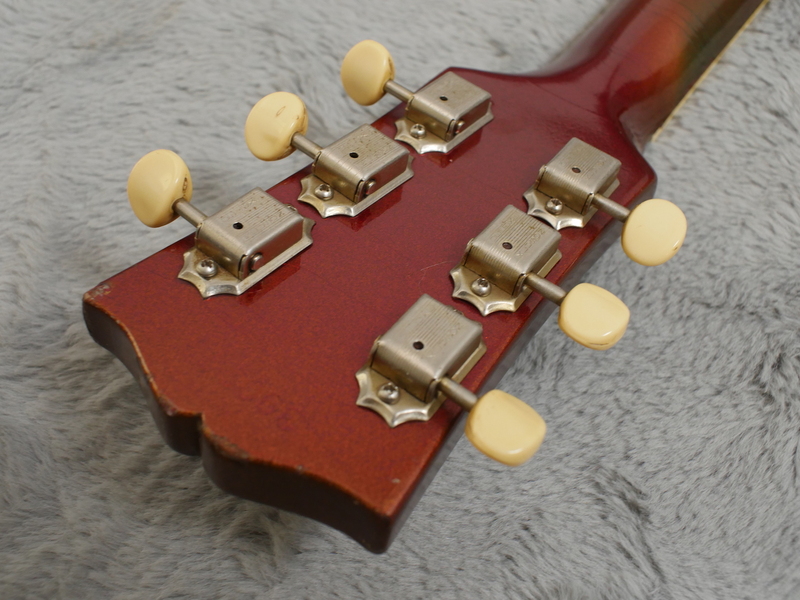 This burgundy finish was only available for a couple of years due in no small part to Gibson’s difficulty in reproducing it. 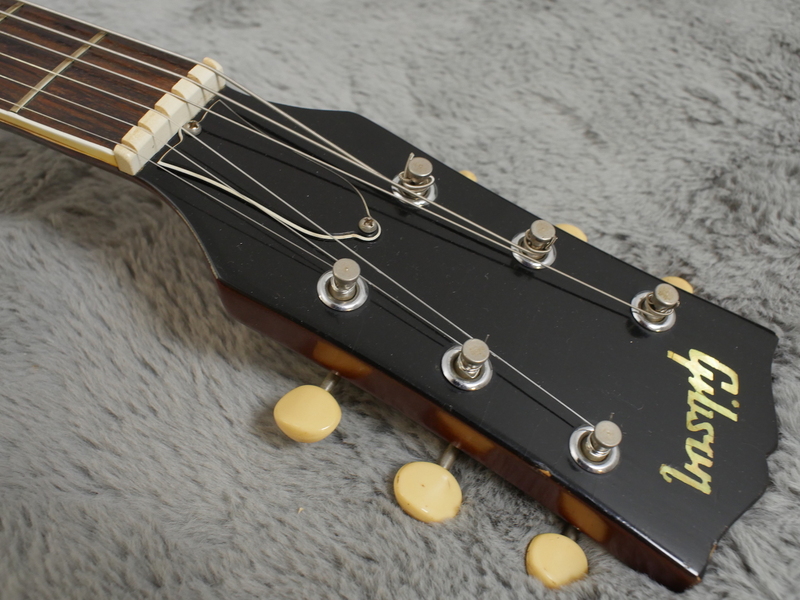 We reckon, based on experience with them, at least 60% of these guitars are stamped with a 2 near the serial number denoting a factory second. 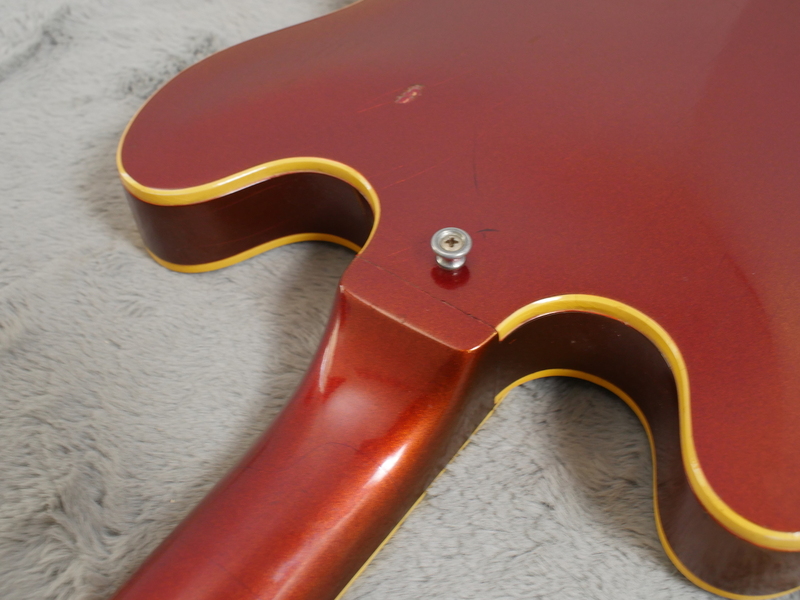 This guitar however belongs to the 40% of instruments that seemed to have passed the inspection process. 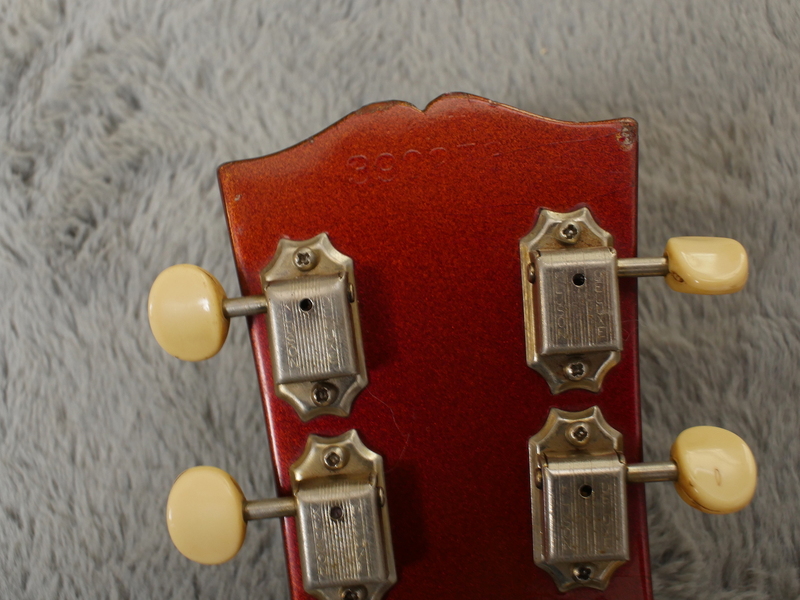 The guitar is in superb condition, showing the only signs of wear and discolouration on the back of the neck. 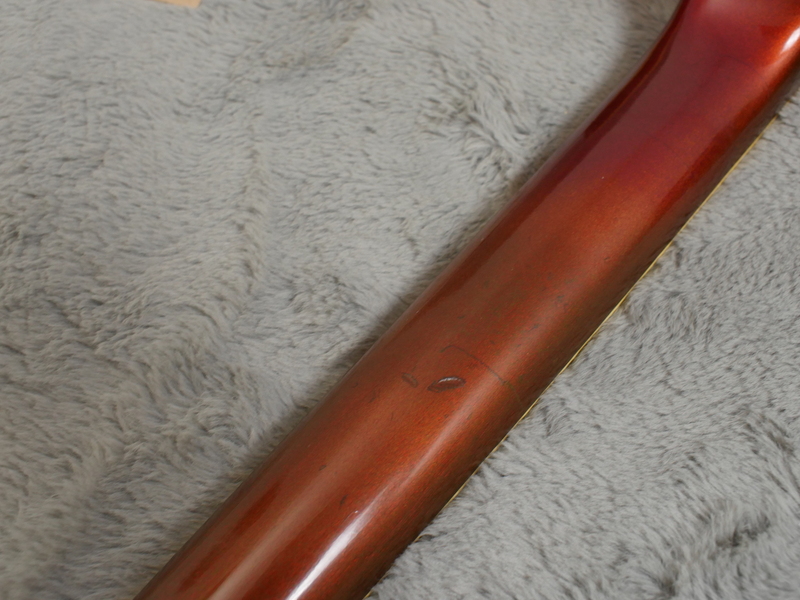 Elsewhere the finish has escaped blemishing. 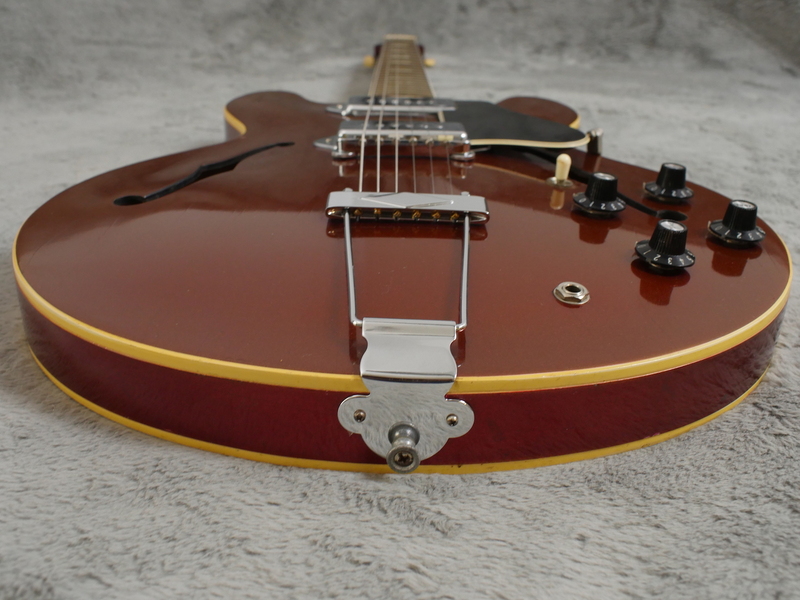 It has the original chrome hardware, although the bridge saddles have been replaced at some point and cream binding around the body and neck is also in excellent condition and makes for a very cool visual package. 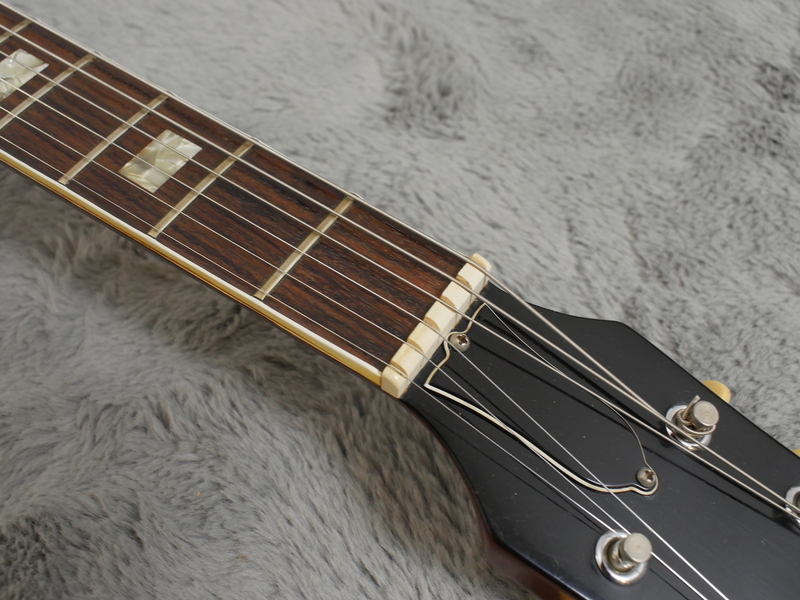 This is a well balanced instrument, its light weight belaying a confident, rootsy acoustic tone. 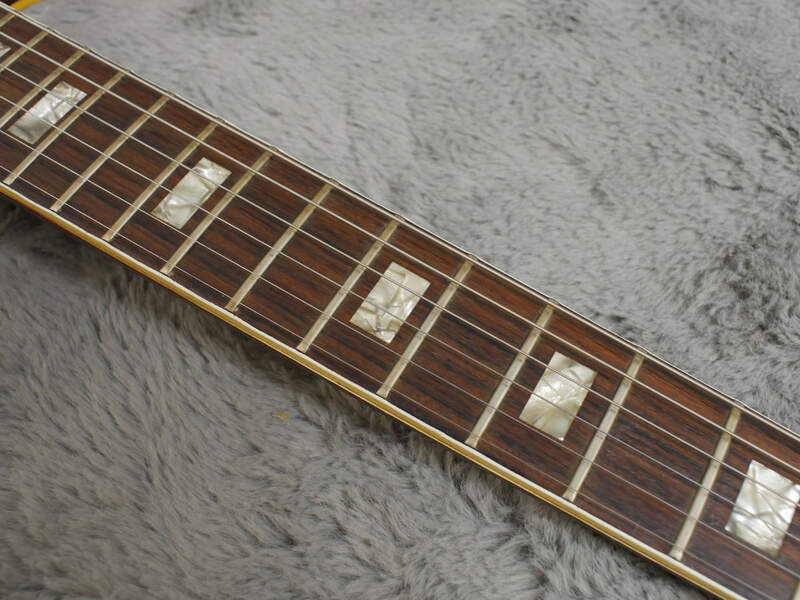 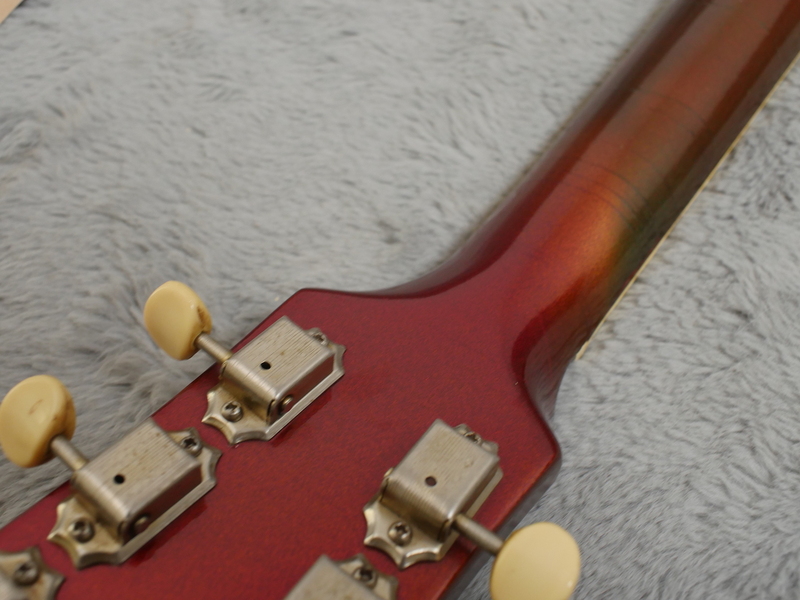 The slim taper neck is comfortable and familiar with easy access to the upper frets due to the 19th fret neck joint, a feature of these post ‘67 330s. 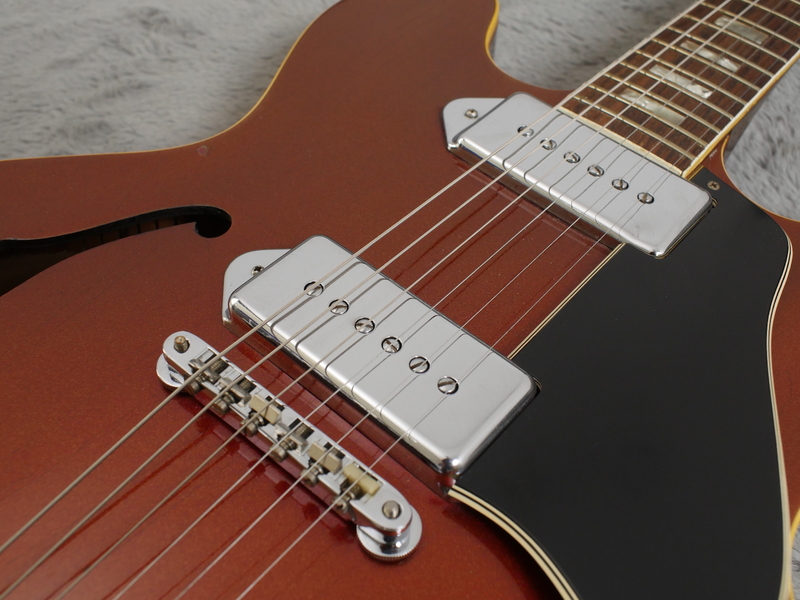 Unlike its centre blocked relations, the archtop construction of these guitars lends a sense of space to the tone, married effectively with a pair of original P90 pickups. 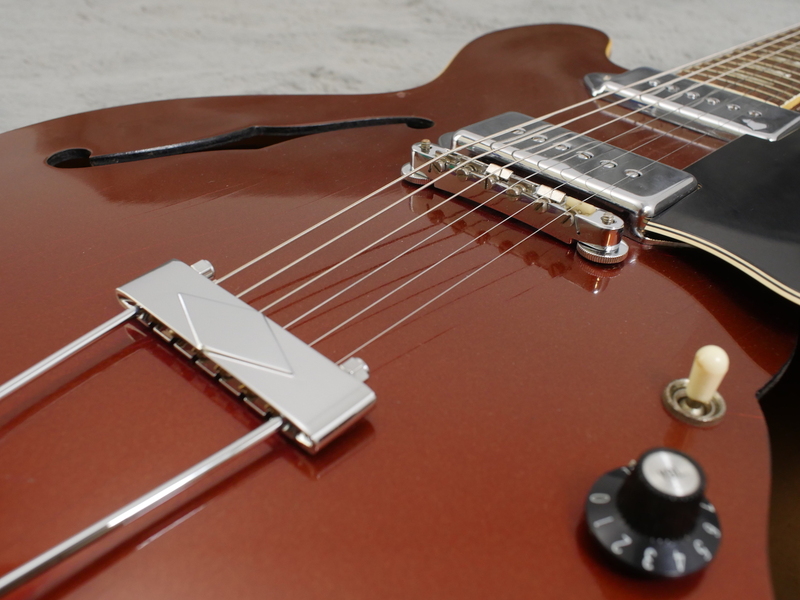 These convey the warmth of the wood with a single coil clarity that gives the ES-330 its characteristic timbre. 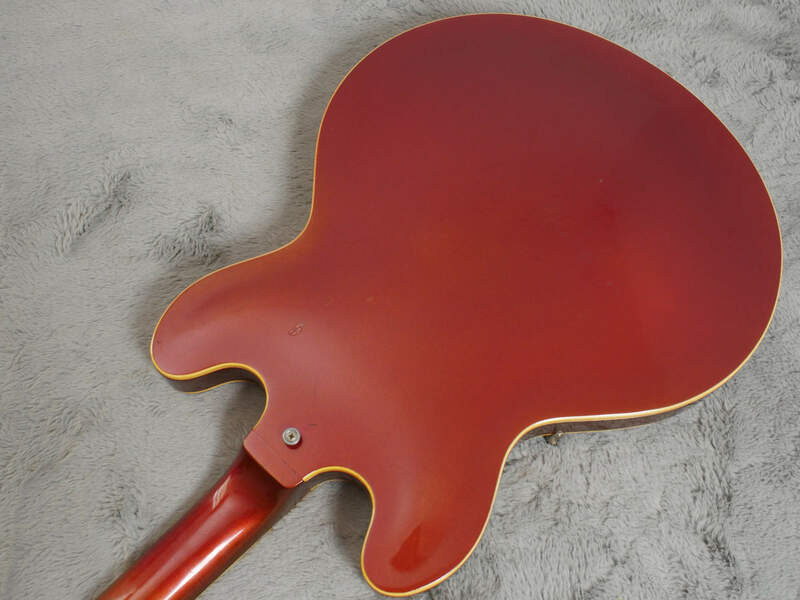 Included with the guitar is a non-original hardshell case. 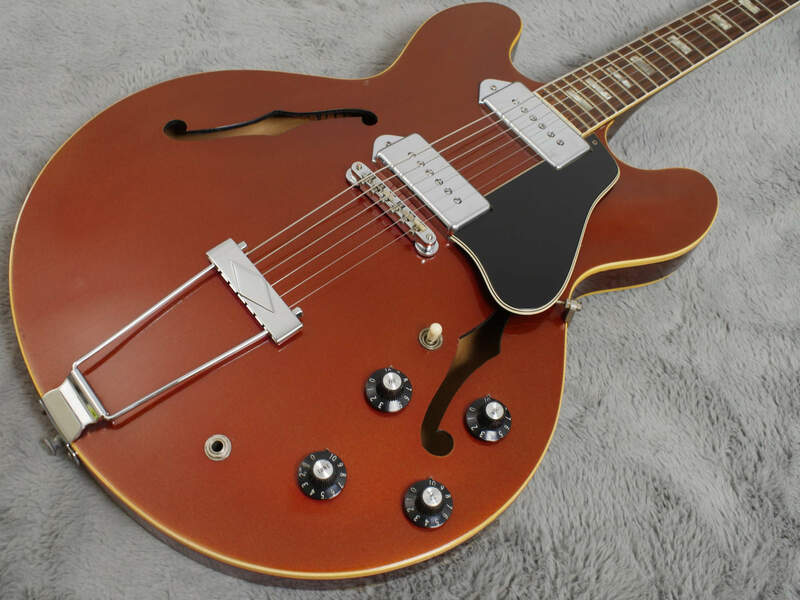 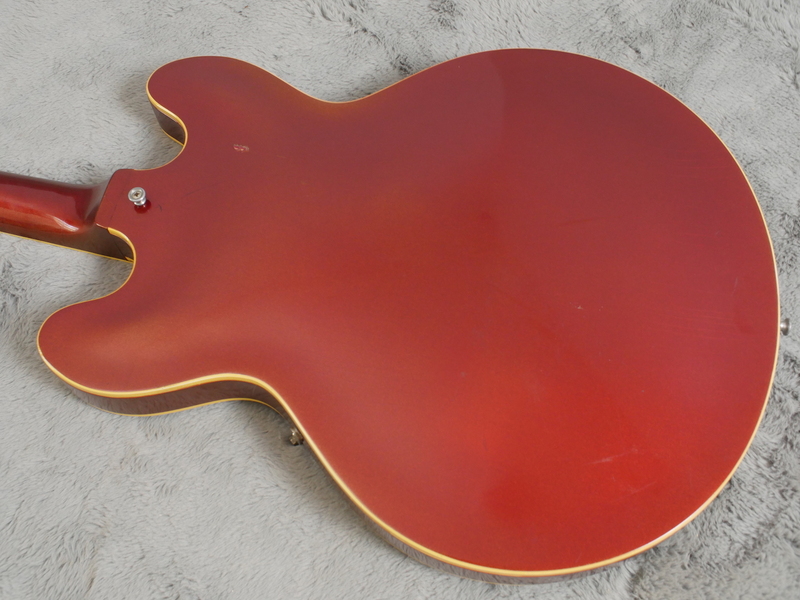 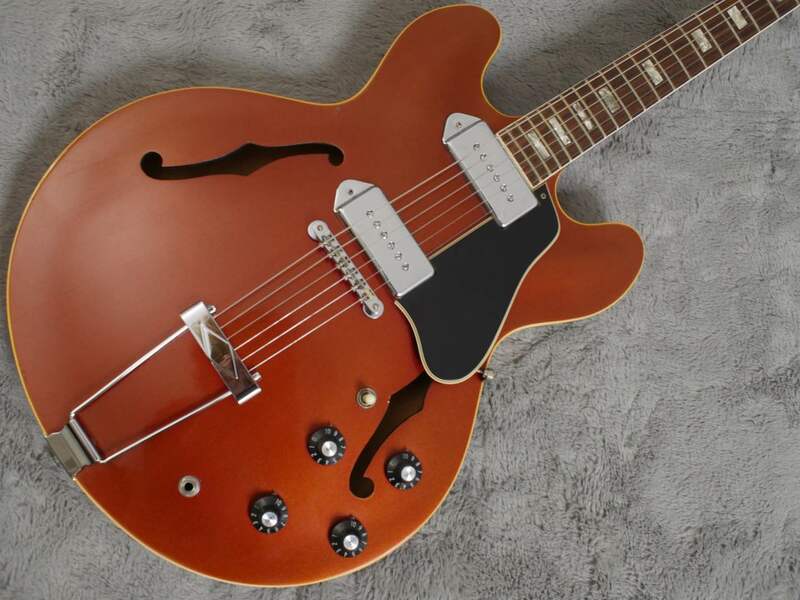 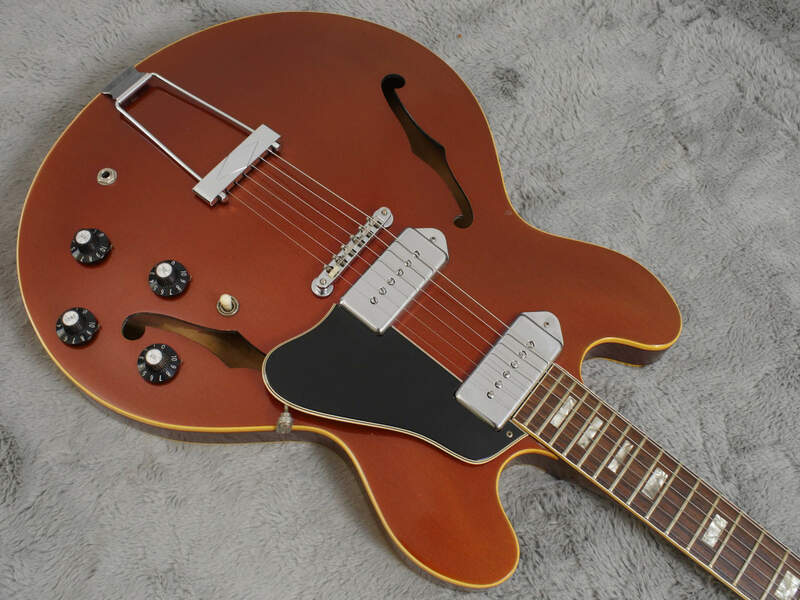 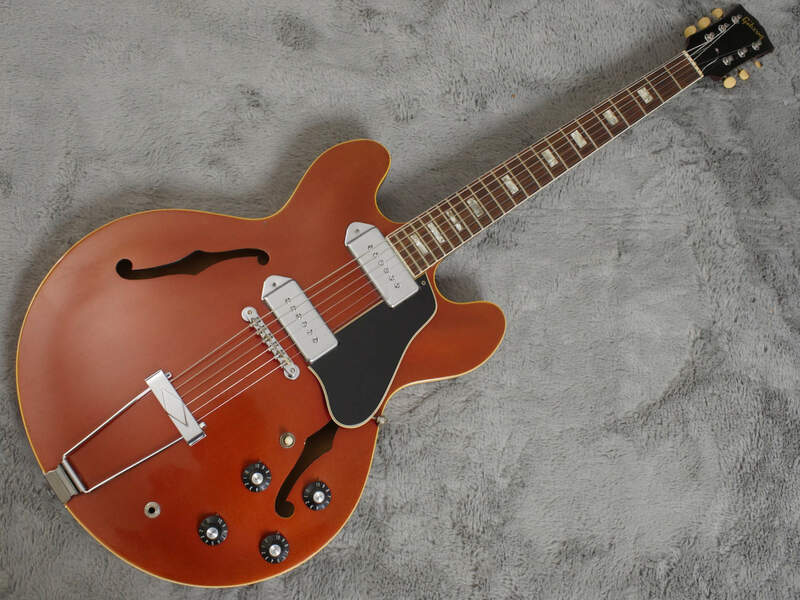 Many examples of these rare colour ES-330 haven’t faired so well, even from the moment of conception. 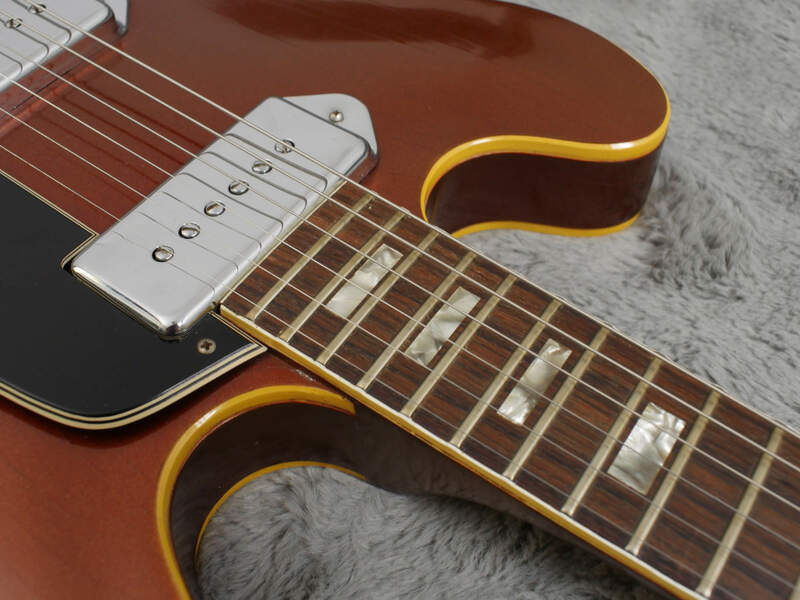 This guitar on the other hand goes to show that perseverance is worthwhile. 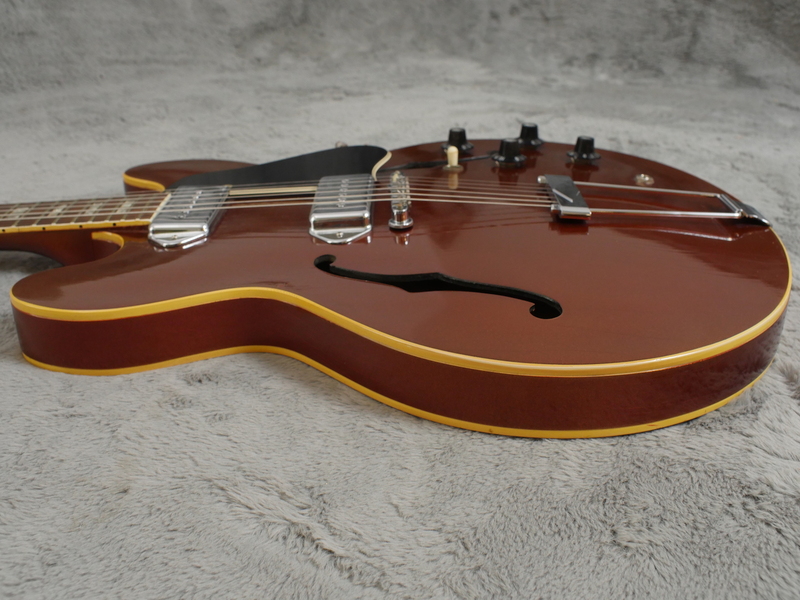 A handsomely executed instrument with tone to match. 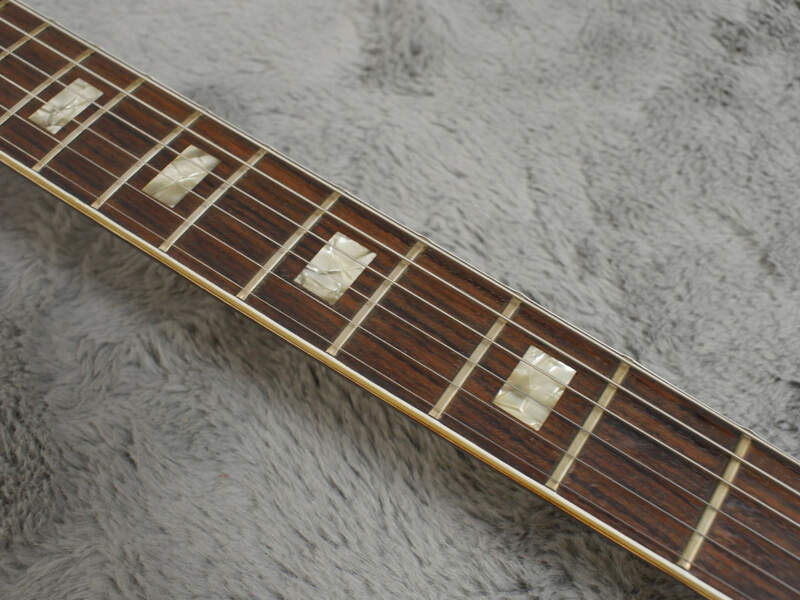 Not many exist in this condition. 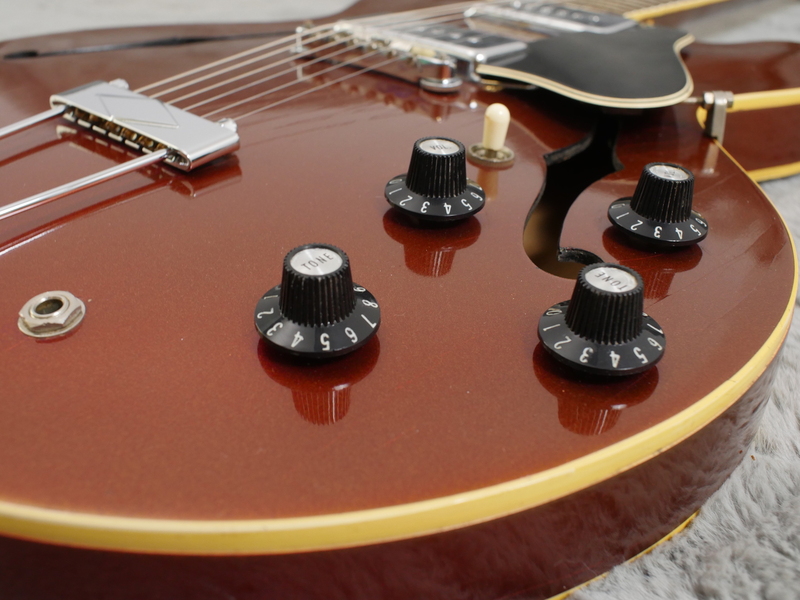 How could you resist?